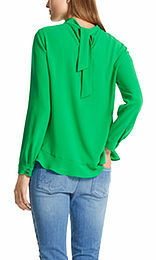 The blouse drapes casually around the upper part of the body thanks to its loose fit. 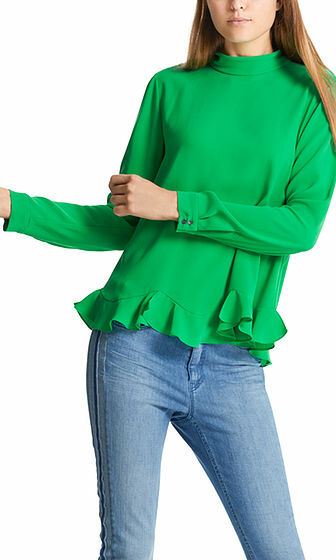 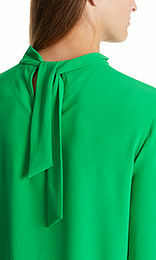 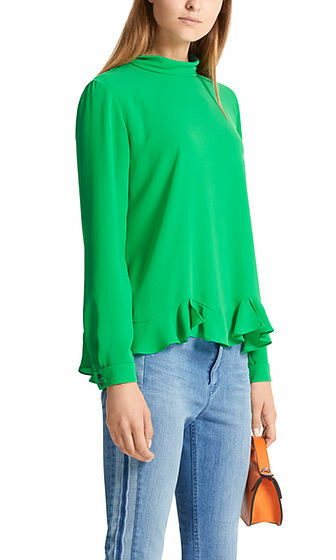 The hem of this bow-neck blouse is finished with a narrow flounce that reinforces its feminine styling. Narrow double-button cuffs add the finishing touch to this exquisite look.